Course 3 is a continuation of the previous course, and will focus on teaching you how to work with tools you need to do your everyday work. The course begins by introducing you to numerous essential command line tools that are used daily. Then, it focuses on bash scripting - you will learn how to construct scripts and how to do very complicated tasks in an automated way. 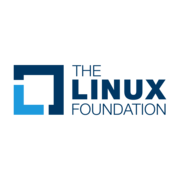 The course looks at files and filesystems and focuses on compiling programs in Linux, using gcc and other compilers, and using libraries of different types. It also takes a look at how Java works in Linux, and explains why there is no reason to worry about having easy-to-use Java programs in Linux. Course 3 ends by covering building packages out of software in Linux.